If we were to sum up new online casino and sports book site Novibet in a few words, it would be a ‘good all-rounder’! Novibet is packed full of casino games, with over 1500 to be precise. Slots, jackpot games, live casino and table games, along with a sports book, which has a slick interface and ease of use. There’s something for everyone here from bonuses, sports betting to full online casino play. Equipped with over 20 software providers, which are some of the best in the industry including, NetEnt, Microgaming, Play N Go, Iron Dog Studios, Pariplay, Shuffle Master and many more, you will be sure to have the best gaming experience with a diverse selection of games from top providers and some lesser known. Primarily a sports book, the online casino games are so diverse they literally cater for all tastes. 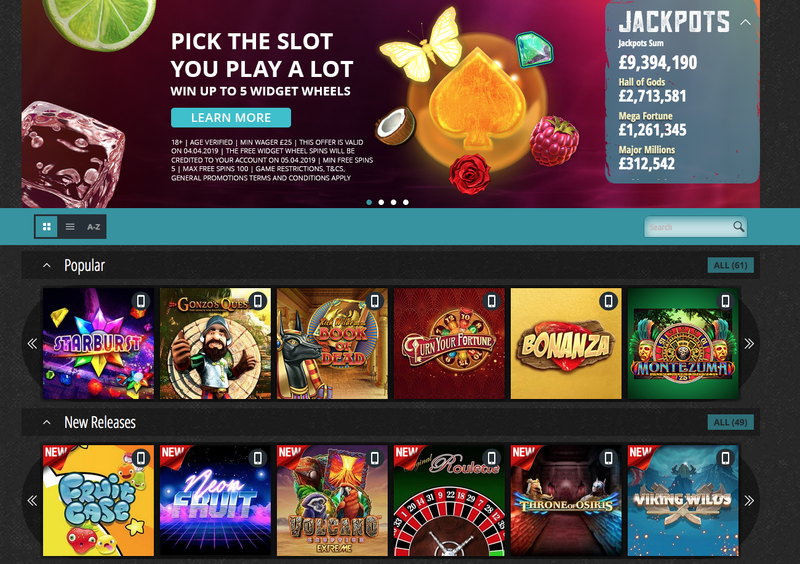 There are also progressive jackpot slots, you will find all the progressive jackpot current amounts scrolling up on the homepage, helping you to choose which one to play if progressives are your thing. The sportsbook has an interesting feature, you can filter what region and division you are interested in instead of trawling through the site to find what you are looking for. There’s a wide range of sports betting to choose from including Football, Cricket, Rugby, Horse Racing and much more. You can choose to bet on live games with bet in-play on some of the biggest games available around the world. At Novibet there is plenty to bet on including F1, tennis and boxing. On site you’ll find listed, results, starting times, current sports betting odds and more for every single sporting event. Novibet are your typical online betting site, there’s lots going on and results flying in every second. They are heavily focused on mobile betting and have thrown everything they have into having a premium mobile sports betting product. Novibet pride themselves on delivering the latest sports and entertainment action on the go and from anywhere. Marketed primarily at British Players, Novibet is licensed under the UK Gambling Commission, they also hold a license from the Isle Of Man Gambling Supervision Commission. With strict ruling from these prestigious Commissions you can be sure of safety and fairness for players, software is independently tested to ensure fair play and payouts and responsible gambling is initiated. Overall, this is a fantastic addition to a market that is already flooded with online casinos and sports book sites. Novibet stands out in it’s own right, offering all types of casino gameplay and sports betting in one place, which is clean and easy to use. This is a true gem and well worth a look.